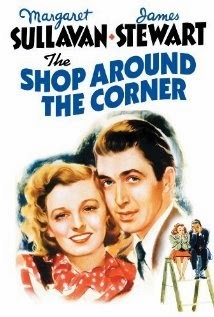 This 1940 film by Ernst Lubitsch, starring Jimmy Stewart and Magaret Sullavan is one of the most beautifully crafted films ever made, and is based on the play by Miklós László. The story is simple, in the weeks leading up to Christmas in Budapest, the department store of Matuschek and Company, is gearing up for the holiday season. The owner, Hugo Matuschek is played brilliantly by Frank Morgan, known to millions worldwide as the Wizard of Oz. His right hand man, Alfred Kralik, is played by Jimmy Stewart. The two are very close, Mr. Matuschek values the opinions of his manager. Things are going very smoothly, with Kralik expecting a promotion by Christmas. Enter Margaret Sullavan as Klara Novak, an unemployed and high strung young woman. Through a bit of trickery she lands a job at Matuschek and Company, which in turn drives a wedge between Mr. Matuschek and Kralik. While Kralik has been exchanging letters with an unknown "friend" through the classified ads, Ms. Novak has been doing the same. Without knowing, they have been exchanging letters with one another, stretching the truth a bit where necessary. So, neither one has any idea that their co-worker is the object of their affections. In fact, the opposite is true, as they grate on one another’s nerves, and the Christmas holiday approaches. And to top it all off, they are both thinking about marriage to their prospective "pen pals", although they have never met. At the same time, a subplot is taking place as the shops "dandy", Ferencz Vadas, played exceptionally by Joseph Schildkraut, does all he can to make life unbearable for his fellow employees. With a cast of character actors such as Felix Bressart, who plays Kraliks friend and fellow employee Pirovitch, and William Tracy as Pepi, the stores delivery boy, this movie will easily call you back year after year for a look at Christmas in Hungary in the days before all the madness began. The movie has at least 3 endings. By that I mean there are 3 separate times when the movie could end, leaving the audience happy, but Ernst Lubitsch, being Ernst Lubitsch, has so many tricks up his sleeve, that you will find yourself enjoying 3 endings, each one wrapping up a portion of the film that you may have forgotten about. This is the art of Ernst Lubitsch. Just when you think it's over - it's not. One of the all-time great Christmas movies, this film was remade in the 1990's with Tom Hanks and Meg Ryan as "You've Got Mail." I have never been able to sit through that entire film; simply because this 1940 version by Ernst Lubitsch captured my heart so many years ago.